We recently acquired a large portion of a fabulous 25,000 sq. ft. mansion from Roswell, Ga. 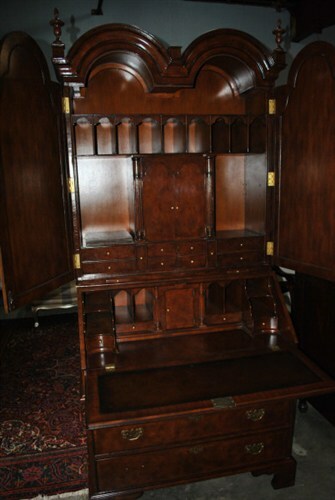 The McPherson Mansion is an incredible home just to tour and we have some of the best pieces at unbelievable prices. There is a link in the description of each of the furniture pieces below. You are getting first shot at these treasures. Enjoy! Only $4500 for all of it- right now.That is right, 31 pieces of top quality Strathwood patio and pool furniture. We have already sold the chaise lounges and other pieces before we had a chance to post this ad. We will probably have sold more from our walk-in customers before the ad is posted. This is one of about 30 pieces of patio, pool, or deck furniture. 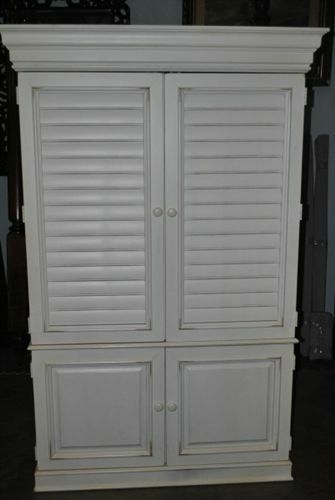 This is super quality aluminum furniture in good condition. 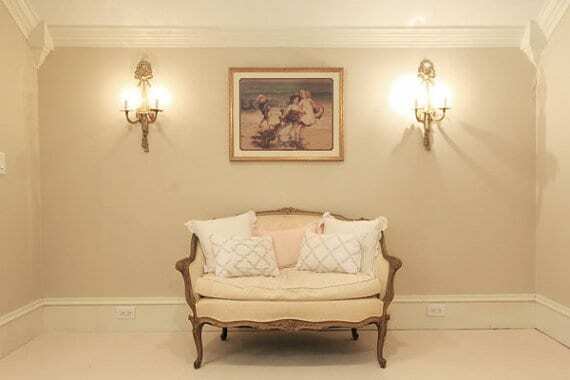 All of the chaise lounges, sofas, settees, side chairs, and armchairs have lovely cream colored cushions. The cushions are washable. aluminum is painted black with very minor or no wear. Some of the cushion covers could use a mild wash. These are very expensive pieces. This is from a spectacular 25,000 sq ft mansion in Atlanta. You can see the Strathwood furniture at the mansion in some of the pics above. If you’ve wanted a fabulous secretary, here it is. 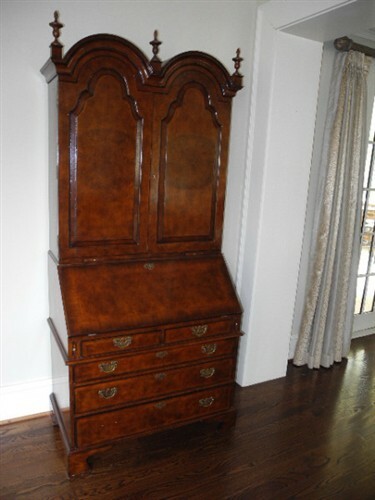 Beautiful Queen Anne walnut secretary, double dome, blind door. Incredible towering presence and a true statement maker. This heirloom has the finest burl walnut we have seen on any piece. Designed to last centuries. Turned finials on either side of the molded double dome cornice, this over conforming bookcase with blind panel doors. The doors open not to shelves for books but fabulous storage and pigeonholing. A banded burl slant front door opens to an inlaid leather writing surface with pigeonholes and storage. The slant door’s writing surface is supported by pull-out lopers. 2 faux leather books provide secret storage. Secretary over conforming case with 4 graduating storage drawers. All drawers dovetailed.Fantastic estate piece. Something like this would normally cost $12,000.00 but we are selling this at the spectacular price of $2,995!! This piece is a very expensive item offered for a fraction of the cost. Will not last long. Measures 24″D x 40″W x 88″H. We have 2 of these available. Gorgeous Louis XV Bombay chest with green marble top. Walnut and mixed woods comprise the outer shell of this treasure. Parquet inlay, solid brass hardware and ormolu. Carved apron and cabriolet legs. Measures 23″D x 48″W x 36″H. We have 2 of these lovely pieces available! Only $1,495 Each. 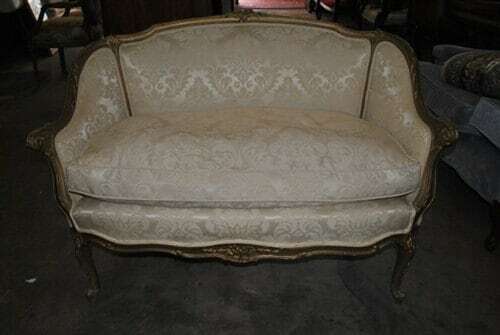 Just Fabulous is this French Rococo Parlor settee with two matching chairs. 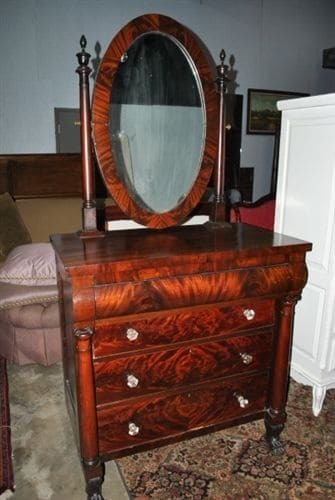 This is fabulous and finely crafted solid rosewood Rococo. Very sturdy with normal antique wear. The settee measures 21″D x 46″W x 37″H. The armchair with matching striped fabric measures 24″D x 25″W x 37″H. The armchair has a small chunk of wood missing on the back where the arm meets yet it is not very noticeable and an inexpensive repair if you chose to do so. The chair with the embroidered seat measures 19″D x 20″W x 36″H, with a seat height of 17″. For more information on the McPherson Mansion, visit http://www.mcphersonmansion.com.